Assam government has announced that it will provide Rs 10 crore as solidarity fund for National Games 2022 to be held in Meghalaya. This was announced by Assam Finance minister Himanta Biswa Sarma while presenting the State Budget for 2019-20 at the Budget Session of the Assam Assembly on Wednesday. Meghalaya Chief Minister Conrad K Sangma has thanked Assam Chief Minister Sarbananda Sonowal and Finance minister Himanta Biswa Sarma for the announcement to release Rs. 10 crore solidarity fund for the National Games 2022. The Meghalaya CM also extended thanks to the government of Assam for the gesture. Thank you Hon'ble Chief Minister @sarbanandsonwal and Hon'ble Finance Minister @himantabiswa for releasing Rs. 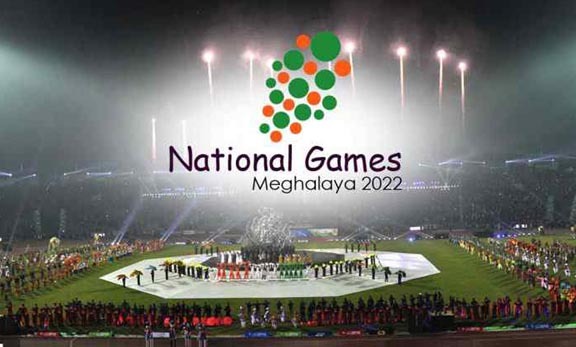 10 cr solidarity fund for #NationalGames2022 to be held in #Meghalaya. We are indeed very thankful to the Government of Assam @CMOfficeAssam for the kind gesture. Earlier in October last year Meghalaya deputy Chief Minister Prestone Tynsong had said the Union Ministry of Social Justice and Empowerment is expected to fund Rs 300 crore to the Meghalaya government for construction of stadiums for hosting the 2022 National Games. The event will coincide with the 50th year of Meghalaya’s creation. Tynsong also said about 50-acre land would be utilised for creating stadiums for the National Games at New Shillong Township while another land of about 70 acres would be utilised for building the games village.